With the generation who were brought up on Charlie and Lola’s first carnation in I Will Not Never, Ever Eat A Tomato in 2000 firmly ensconced in their teen years, the darling sibling duo are wowing a new generation with their inimitable charms and cheeky ways. “I have this little sister Lola. 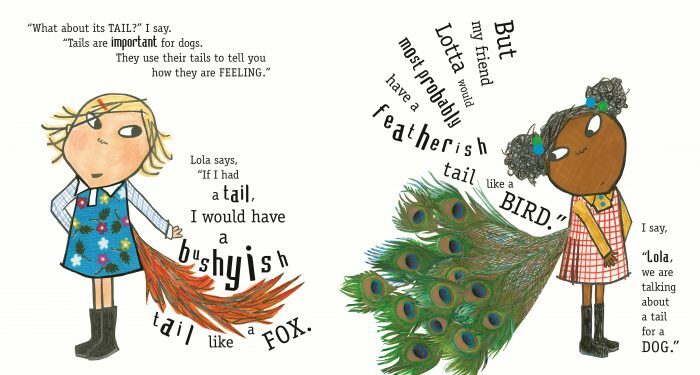 She is small and very funny.” So read the familiar words of big brother Charlie as he introduces the world seen through the eyes of his characterful little sis, Lola. And true to form, Lola is indeed very funny. In this new adventure, Lola has her heart set on a new pooch for the family, but of course not just any dog will do. Lola has a host of specifications that must be met: said dog should be brown, have a waggy tail that measures “as long as five rulers”, have extremely furry fur, and – mostly importantly – have nice ears. 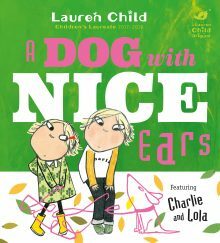 Filled with Child’s idiosyncratic illustrations that feature a mix of vintage fabrics and end paper designs by Child’s daughter Tuesday, as well as a smart and sassy script in signature swirling patterns that dance across the pages, A Dog With Nice Ears is destined to delight a whole new generation of Charlie and Loloa fans. Charlie and Lola have been immortalised for the small screen in 78 animated episodes that originally aired between 2005-2008. Somewhere in Jutland, Denmark, a pixie-faced girl (now a young woman) may have no idea that she was the inspiration for Lola! According to Child, she and her then boyfriend were sitting in a train carriage opposite a chatterbox tot who was bombarding her parents with endless questions. Child found her mesmerising – and the seed for little Lola was born! 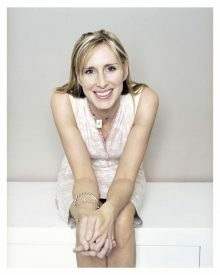 The Waterstones Children’s Laureate 2017-2019 Lauren Child is a multi-award-winning, bestselling writer and artist whose books are known and loved the world over. Her first two picture books I Want a Pet and Clarice Bean – That’s Me were published in 1999 and were an instant hit. 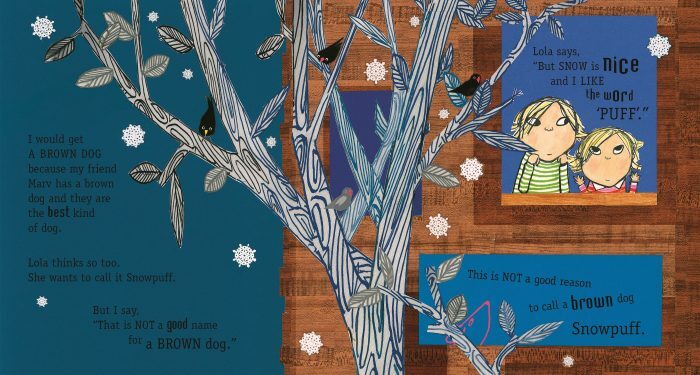 In 2000, Lauren won the Kate Greenaway medal for I Will Not Ever Never Eat a Tomato (her first Charlie and Lola book) and in 2002 That Pesky Rat won the Gold Smarties Award. Lauren also published her first novel in the same year: Utterly Me, Clarice Bean. A second novel, Clarice Bean Spells Trouble, was published in 2004 followed by Clarice Bean, Don’t Look Now in 2006. Child is also author of six books in the Ruby Redford series about a smart-talking, code-cracking, girl-spy genius, who together with her side-kick butler solves mysteries and helps rid the world of evil villains.